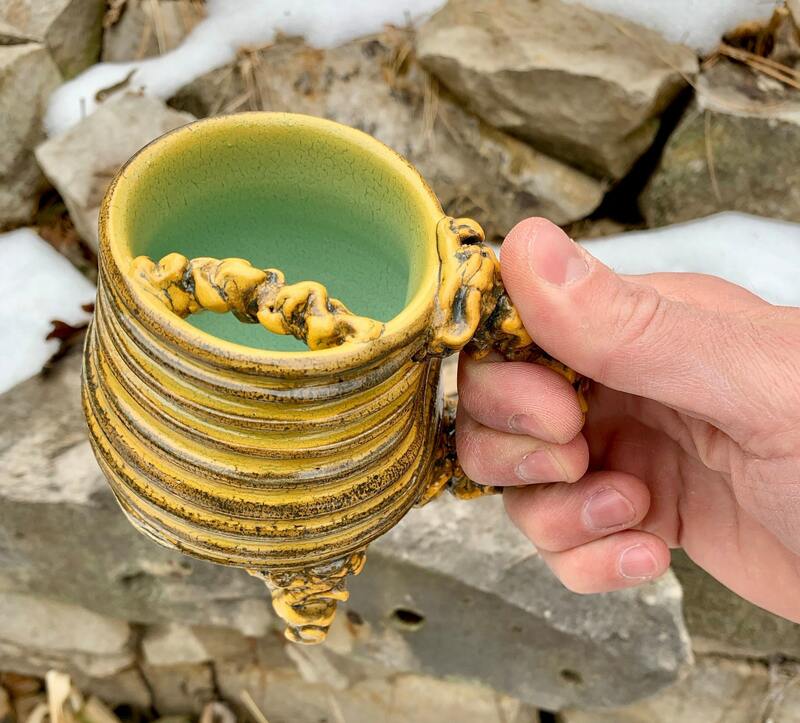 This is a white stoneware mustache mug, wheel thrown, with a liquid banded exterior, hand built tripod feet, mustache guard, and handle. 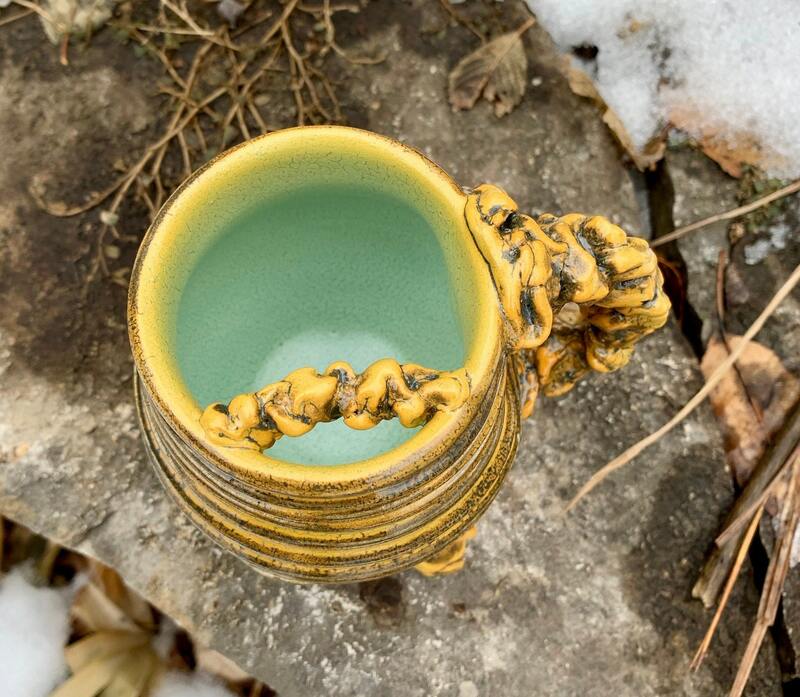 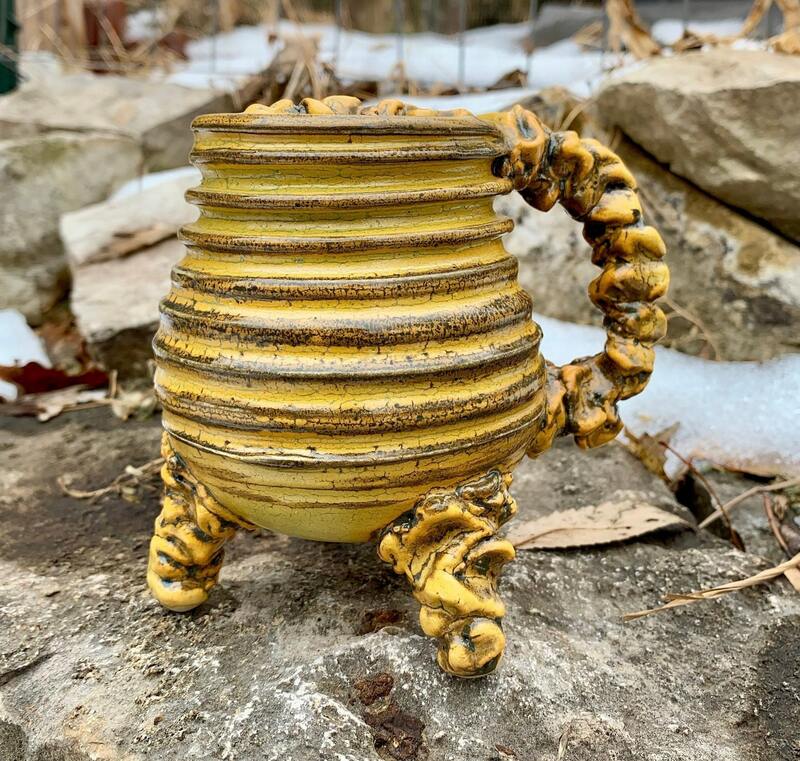 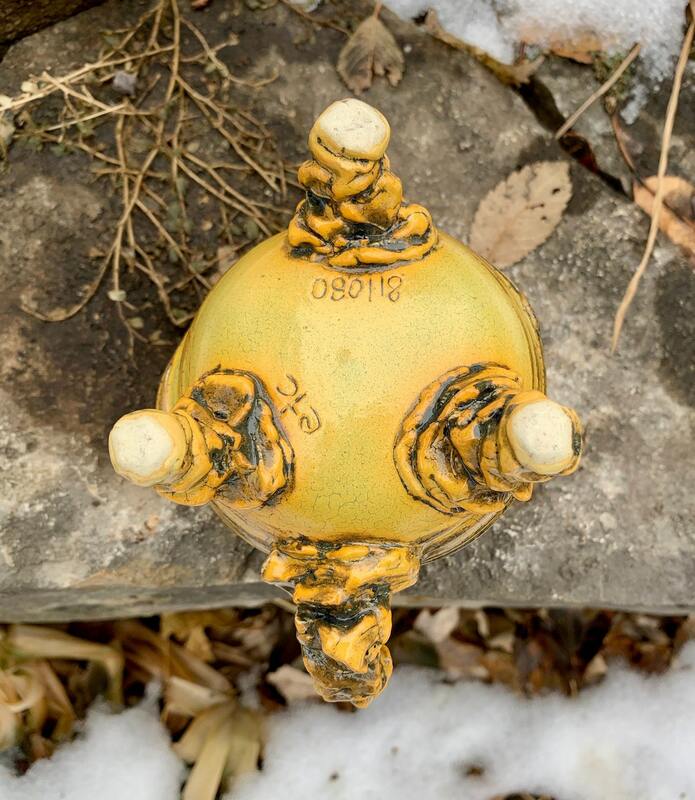 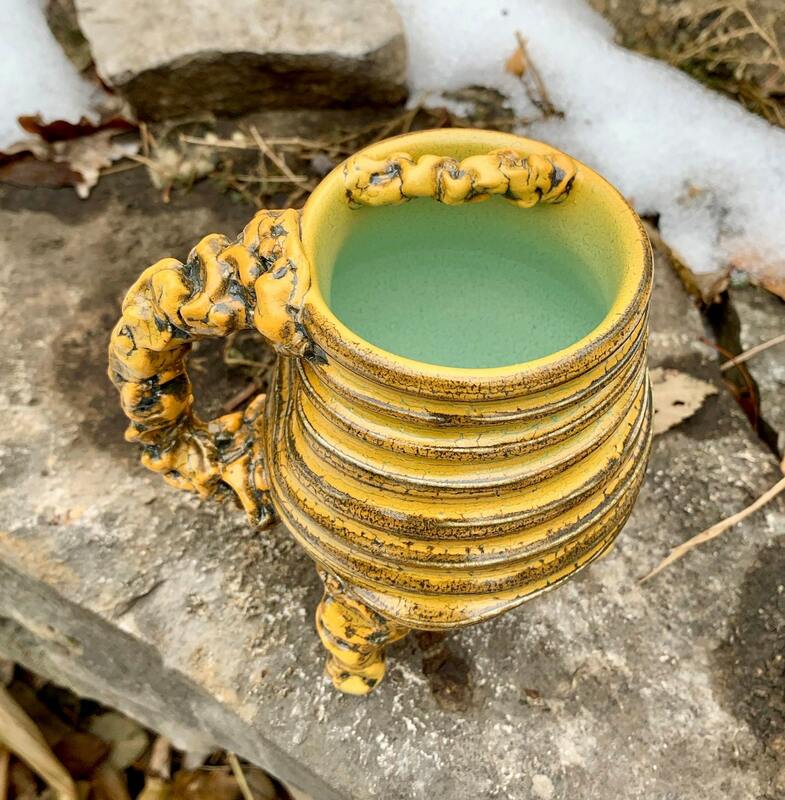 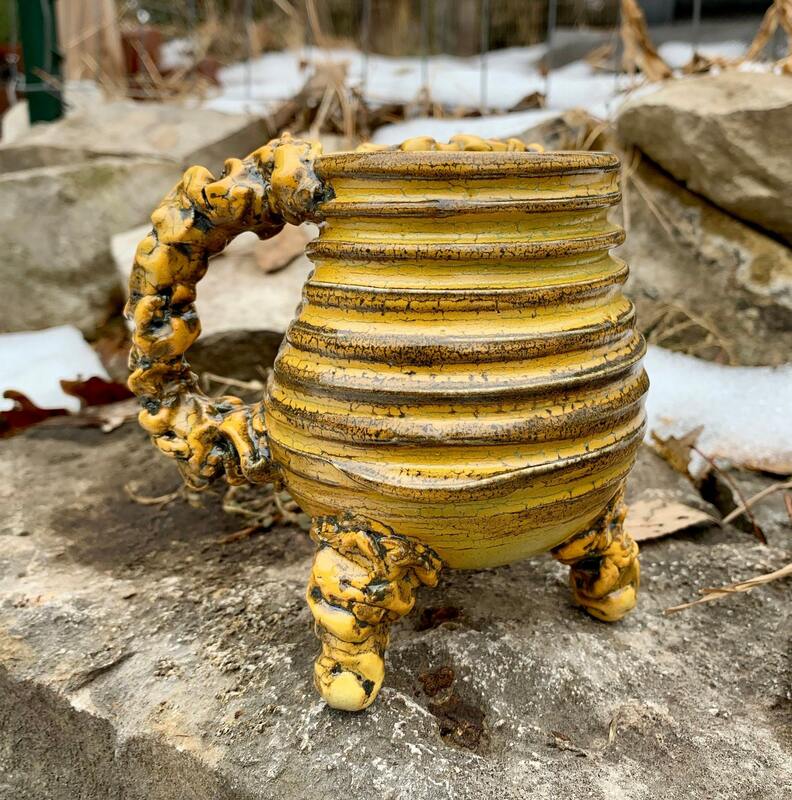 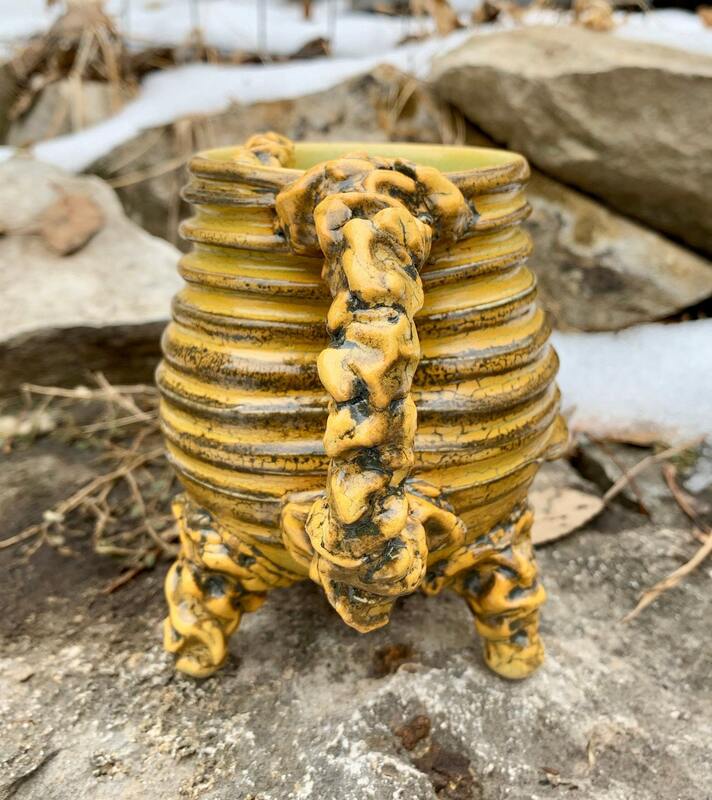 It is signed and dated, glazed in a satin melon green glaze on the interior and a golden yellow glaze with navy blue/black highlights on the exterior, and electric fired to about 2170 degrees Fahrenheit. 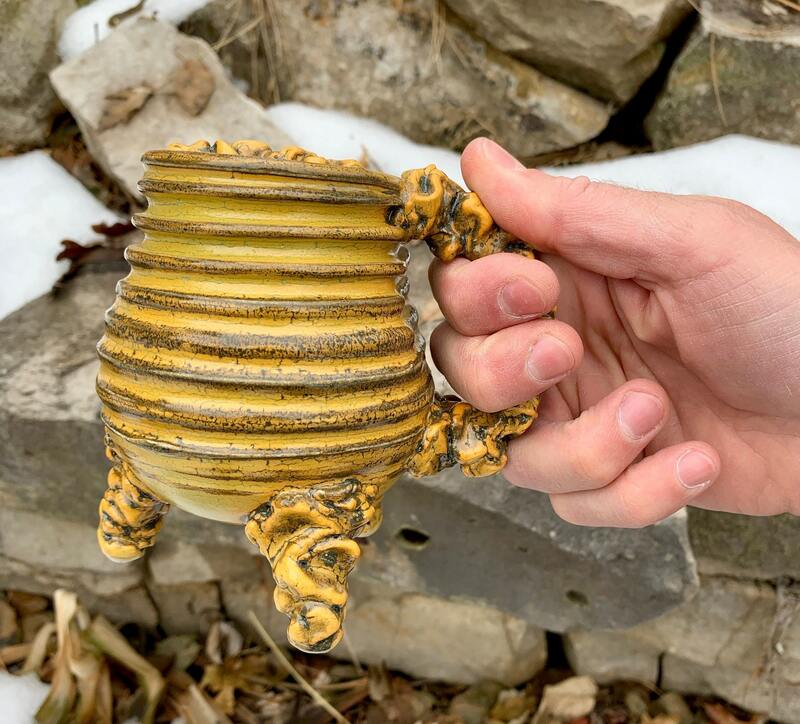 This piece measures approximately 4 1/2 inches tall, 5 inches wide at the handle, and 2 3/4 inches wide at the rim. 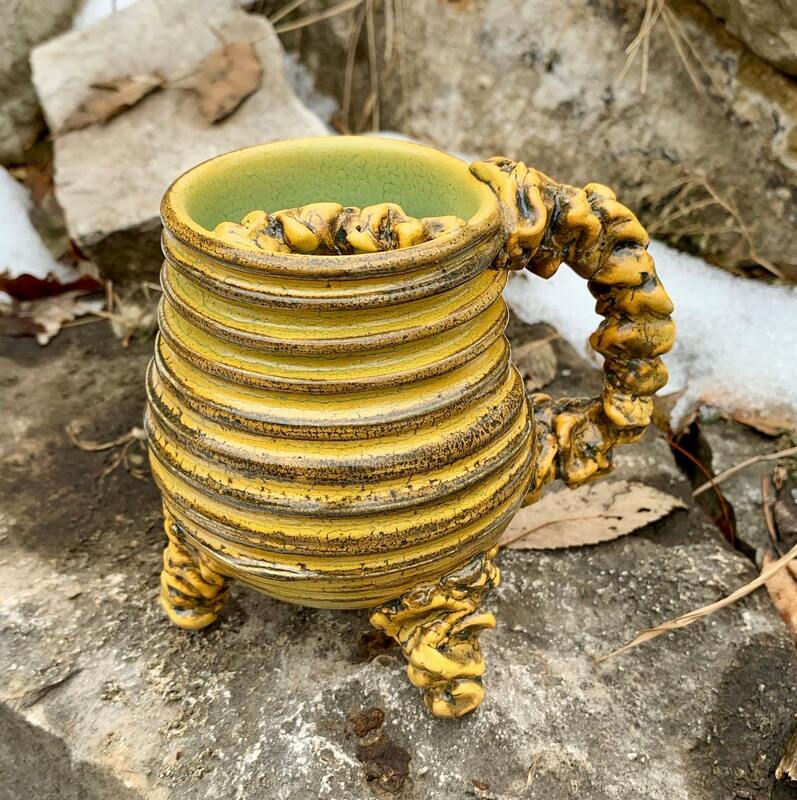 It can safely hold 11 fluid ounces.